That Resource Site: Thank You, Friendly Timesaver. Time. It was created for our benefit, we need more of it, and eventually we will run out of it. That doesn't sound too promising does it? But, it is. Here's another more positive take on the same concept. Time. A vital tool of guidance, we should use it wisely to accomplish your goals, and rest when our work is completed. Homeschooling can make us feel like the work is never done. There are the learning tasks, household tasks, personal tasks, voluntary tasks . . . We are never really quite sure when our work is completed. We keep thinking that if we only had more time we could accomplish more. The truth is, when we have more time, we do more work. It is rare that one of us homeschoolers says, "I have more time, I am going to doing nothing a lot longer." Once your nest begins to empty, you will notice that you have suddenly gained more time, but that's later in time, not now, for us anyway. Some of us find that the passage of time and our tasks are more comfortable and manageable when others help us and support us. Shell over at Thinking Love, No Twaddle blog thinks that we do that pretty well as she has given us the Thank You for the Free Stuff and Time Saving Award. To date we have never participated in any blog awards, but time saving and freebies are very special things. So I thought that I would pass on three of my favourite freebie, time saver blogs for homeschoolers and educators. 1. 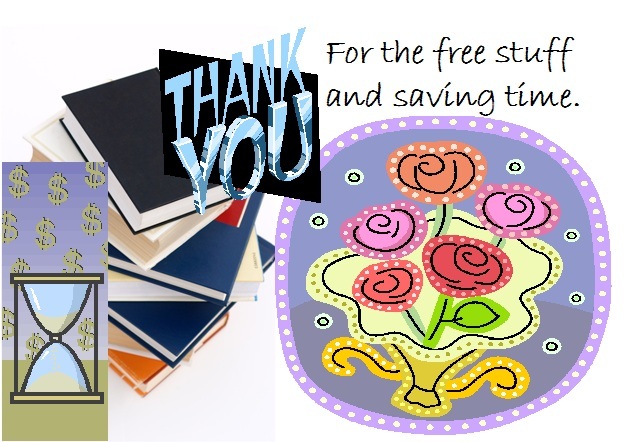 The Catholic Tool Box - Grace offers lots of freebie printables that are perfect for CCD, Rel. Ed or home catechises. Great time saver for catechists. 2. Jimmie's Collage - Jimmie shares tons of freebies, especially notebooking sheets, and gives great teaching tips for those who follow the CM style. Wonderful time saver for homeschoolers. 3. Waltzing Matilda - Charlotte has been around for years sharing her wonderful art skill with all of us with her Catholic colouring pages. I wish that I had that kind of skill, but the Lord had other things in mind..lol. Very beautiful time saver for Catholic families. Thank you ladies for all the time and energy you share to make teaching the kiddos, easier for others. Oh, wow! This is such a boost today! Thanks for the kind words and the links. I am happy to share what I used with my own daughter. It truly brings me joy to help other busy moms. Yes, it is always a joyful challenge to balance everything isn't it. Everyone needs a boost sometimes, especially when they are one or two people trying to do something for the good of all. Meaningful Colouring for Tweens? Yes!